We’re going to paint a picture here, but it’s one you’ve most likely seen before: You show up onsite the day of an event, and you feel confident. Your piece of the puzzle is ready to go; you know exactly what you need to do to make it happen, and now all you have to do is execute, and then sit back and watch your hard work pay off. Now that you’re onsite, there are so many other pieces to this puzzle that you didn’t know anything about before this very minute. Suddenly you and a venue’s worth of other people – all of whom were just as confident coming in – are scrambling to figure out how to work around one another, how to fix problems that didn’t exist an hour ago, and who, exactly, is in charge of this situation. So what if instead of working around one another, you were all working with one another – and better yet, what if that process of collaboration had started weeks or even months ago? 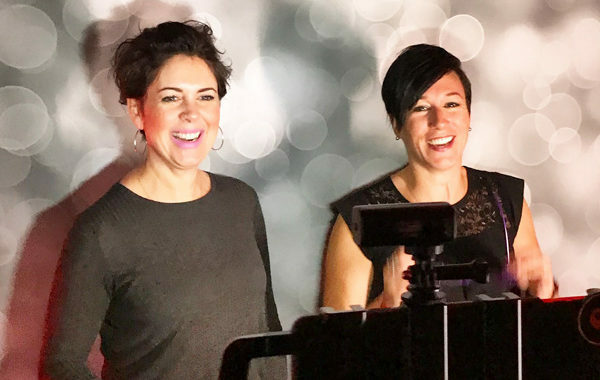 With these questions in mind, Kimberly Beaune, CMP, CSEP, of Creative Twist, and Elizabeth Nutting, CSEP, of Production Canada, have been facilitating Event Wars workshops at ILEA chapters across North America. 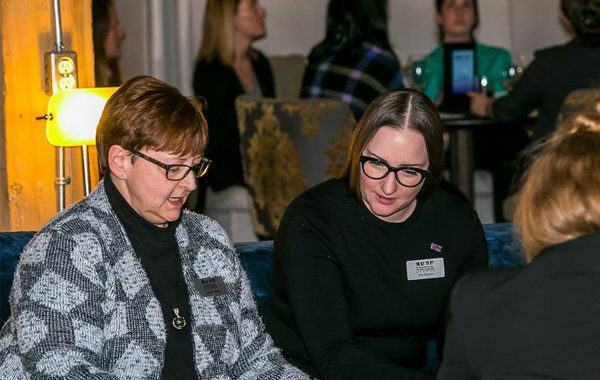 We sat down with Kimberly and Elizabeth following the ILEA Calgary Event Wars to talk about their experiences with the workshops, what they and the attendees across North America have learned, and how these lessons can apply to our real-life events. If you’re a reality TV watcher, Event Wars is less “Survivor” and more “Naked and Afraid” (minus the naked part, just to be clear). The goal of the workshop is to yank you out of your comfort zone, but in a spirit of collaboration and mutual support, rather than competition and backstabbing. As event profs come into the session, they are each assigned to a group: rigging/lighting/power, audio/visual, décor, catering, venue, or entertainment. 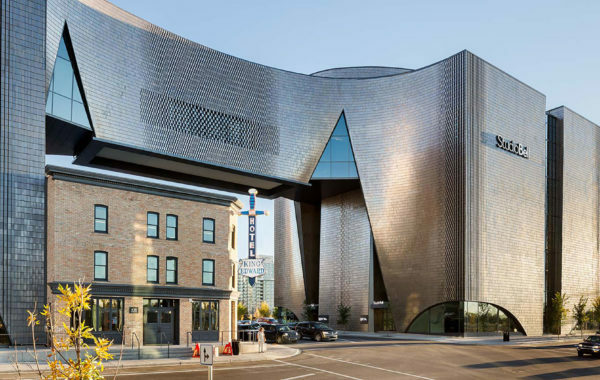 Local Subject Matter Experts are enlisted in advance to lead each group; Jennifer, our Project Manager, utilized her experience with and fondness for complex logistics as the Subject Matter Expert for the décor group at the Calgary workshop. Kimberly and Elizabeth begin by explaining visual production schedules and walking attendees through the theoretical event, after which groups break off for 30 minutes to plan their part of the production schedule. 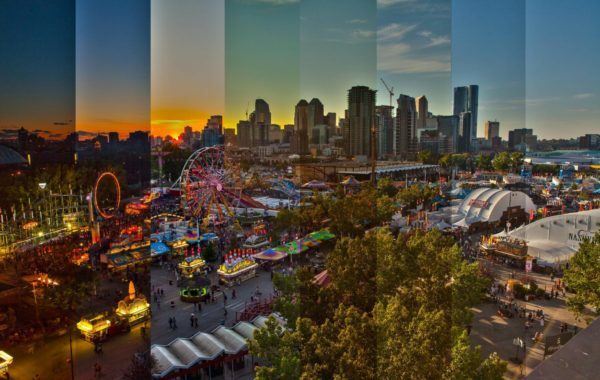 After the alloted time, everyone comes back together to combine each category into a fully functional visual production schedule that incorporates the logistics and scheduling needs of all vendor groups. Along the way, attendees will be learning valuable lessons in some surprising ways. Like dropping an average American into the middle of a rainforest to build a shelter and subsist on a bag of rice, the workshop is designed to take you out of the spaces where you are most comfortable, and force you to adapt. Unlike that scenario, the end goal is to make you a more well-rounded professional with a better understanding of all aspects of an event, and you’ll have the help and support of the room to get you there. This shake-up in roles is key to the Event Wars experience. In our day-to-day work, we are all zeroed in on our own area of education, experience, and expertise, and we can’t stress enough how valuable it is to go through this theoretical process with your focus on a totally different area. Is it intimidating? Of course. We all want to sound like we know what we’re doing when surrounded by our peers, and the easiest way to do that is to stick with what we know. But what are we learning if we don’t step outside of that comfort zone? And how immeasurably could our understanding of and communication with other vendors benefit from putting ourselves in their shoes, even if only hypothetically? In fact, Kimberly and Elizabeth pointed out that this new, firsthand insight into the challenges other vendor categories face is one of the major – and most surprising – lessons attendees learn. If you haven’t participated in Event Wars (yet! ), there are other ways to cross-learn. Go to industry conferences and attend sessions outside of your direct area of expertise. Pay attention when you’re onsite to the vendors around you! Talk to other vendors about their pain points or experiences – and make sure you’re actively listening. When we asked about the experience of leading this workshop in cities across North America, one of the facilitators’ first observations was just how different the conversations, and resulting solutions, are in every city. “Everyone brings their own experience, their own ‘way that they do it,’” Kimberly told us. “That’s actually one of our favourite pieces of the whole puzzle.” That chance to hear different perspectives and see how those conversations bring about different solutions to the same problems really highlights just how essential communication is to events and to problem solving in general. Those of you who read Jennifer’s guide to creative problem solving might remember her call-a-friend tip – the lesson here is the same. Elizabeth explained that, when the subject matter groups break away to plan their piece of the production schedule, teams are encouraged to send ‘envoys’ to other groups, asking questions about timing and logistics that will factor into their own decisions. It’s this open and ongoing stream of dialogue that both facilitators feel is the biggest lesson of Event Wars, and that definitely resonates with the event profs in attendance that we spoke to. “We’ve all shown up to an event… [where] something that, had you known, you could helped solve, is [instead] causing everybody pain,” says Kimberly. Communication between vendors is certainly a big part of preventing this situation, but there’s one other lesson that the Event Wars experience has taught the facilitators, and that’s the unexpected benefit of getting everyone in the same room as early as possible. This lesson translates to real-life events, where getting the players together early on when the pressure is less intense and everything from timelines to budgets are more fluid can be all it takes to identify and troubleshoot problems, to make adjustments where necessary to avoid headaches at the 11th hour, and to truly work together as one larger team, all with the best interests of the event at heart. “I think they’re terrified, and they think it’s an enormous project,” Elizabeth said, when we asked how Event Wars attendees typically feel going into the workshop. But time and time again, she and Kimberly see a more confident and empowered group of event profs leaving after working through the session. Through better understanding of our fellow vendors, direct and open communication, and a little good old-fashioned process, we can start to make event day onsite feel less like a chaotic scene from the Amazing Race, and more like teamwork at its finest. If you’ve participated in Event Wars, we’d love to hear about your experience and what you learned. Be bold and start a conversation on Facebook or Instagram. Read more about partnership and collaboration, and if you’re curious about how we can work together, get the full story on what we do here.